PARENTS OF LEO JR., THOMAS, MARSHA, TIMOTHY, MELANIE & MONTE. Additional information from cemetery record. 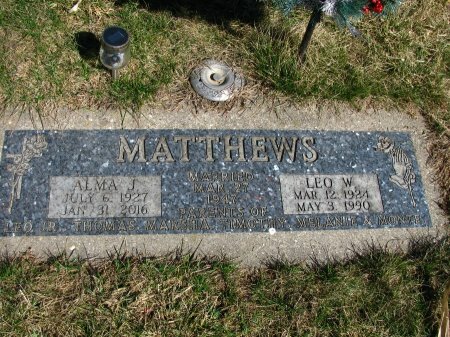 Searching for ALMA JEAN MILLS MATTHEWS in Dickinson County Iowa?